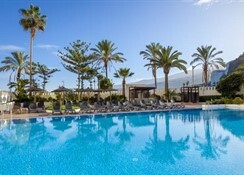 Sol Costa Atlantis is located in north of Tenerife, surrounded by beautiful nature and landscape, within the heart of Puerto de la Cruz. This 4 star property is situated right on the beachfront and just 150 metres from the famous Lago Martianez. There 320 elegantly designed guest rooms are spread over 14 floors in this modern hotel, which boasts a great base in which to relax and take full advantage of the facilities and services in the utmost comfort. 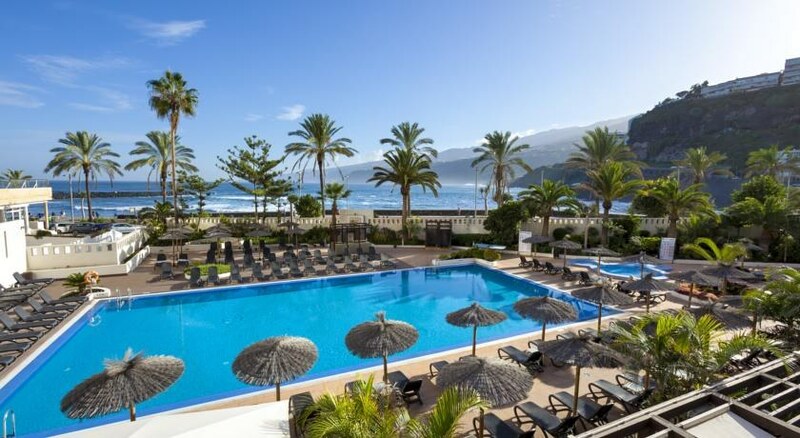 The superbly equipped Spa and Wellness Centre is situated on the top floor of the hotel which maximises stunning views of Mount Teide and the tranquil sea. Beatriz Atantis Spa & Spa Hotel is ideal for couples and families looking for a pleasant and unforgettable stay in the glorious Tenerife. Getting to the hotel:Sol Costa Atlantis is located 26 km from Los Rodeos Airport or 90 km from Reina Sofia Airport. Local tips: This hotel lies just outside the centre of Puerto de la Cruz with many shops, bars and restaurants available on your door step. We recommend visiting the Lakes of Martianez, the marine them park and zoo of Loro Parque. The seafront has a wide choice of activities for any sports lovers, including sailing and fishing. 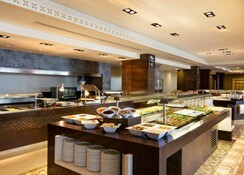 Food, drink and entertainment: The main restaurant serves breakfast, lunch and dinner buffet style, with a different menu each day of national and International cuisine. This restaurant also features themed dinner nights and a large outdoor terrace overlooking the pool. The Pool Bar offers an a'la carte menu of tasty cuisine, located on the terraces by the pool or in the cosy dining room. 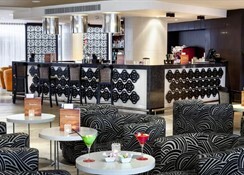 'Café Drago' has 2 magnificent outdoor terraces, where you can simply chill and relax and take in the sea view. Live shows and music can be enjoyed in this venue while enjoying coffee or a cocktail. Professional shows are put on for all guests for fun filled evening entertainment. Sports, games and activities: Outdoor swimming pool, fully equipped gym, sauna, beauty treatments, massage, hydro-massage, hydrotherapy & relaxation pools, hammam, Jacuzzi, board games, darts, ping pong, aqua aerobics and dance classes. For the kids: There is a separate kid's swimming pool and a fun kid's club is available each day with a variety of activities, through to the evening with a mini disco. Additional: 24 hour reception, underground parking, lift/elevator, babysitting service on request, wake-up call, air conditioning, currency exchange, conference/banquet facilities, laundry service, Wi-Fi internet connection, room service, taxi service, concierge, dry cleaning service. All rooms include air conditioning, satellite TV, direct dial telephone, heating, safety deposit box (local charge), heating, hairdryer, en suite bathroom, Wi-Fi internet connection, mini bar and a balcony. 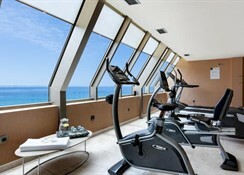 Sea view rooms are available with a supplement.